This year’s guest speaker, Rev. Stephen A. Green, Senior Pastor of Heard AME Church in Roselle, NJ previously served as the National Director of the Youth and College Division of the National Association for the Advancement of Colored People (NAACP) and is one of the nation’s youngest leading human and civil rights activists. 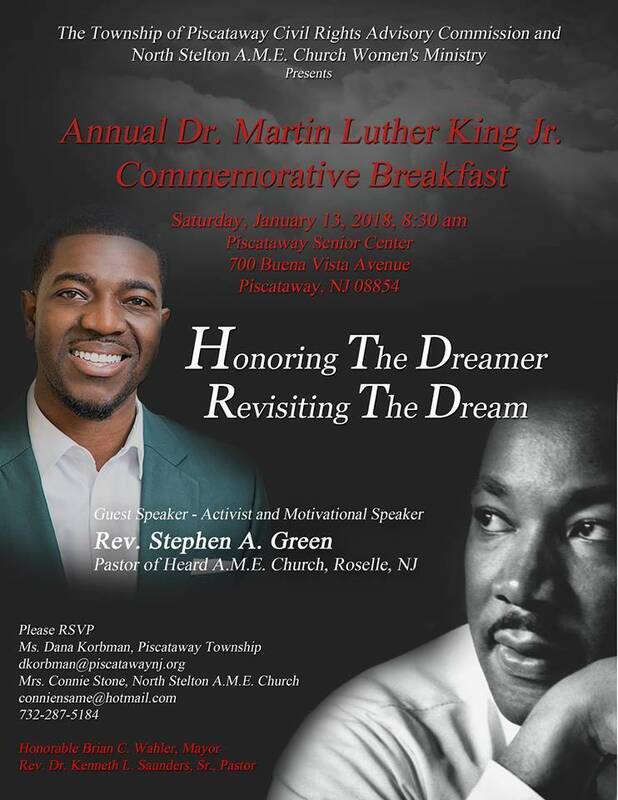 To attend contact Dana Korbman at dkorbman@piscatawaynj.org or Connie Stone, North Stelton AME Church at conniensame@hotmail.com or call (732) 287-5184.